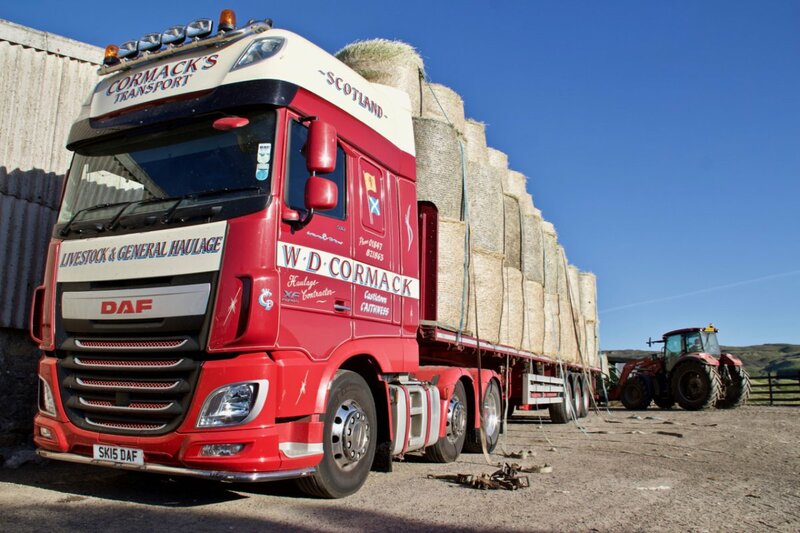 Cormacks in with a load of hay from the Black Isle. Top quality fodder secured for the winter. Our own hay and silage fields are pretty light this season and are suffering from the lack of rain.